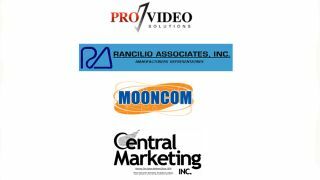 Eiki International has added four new sales firms to represent the company throughout the Midwest United States: ProVideo Solutions, Rancilio Associates, Central Marketing, and Mooncom. Each company is tasked with expanding Eiki’s presence in the AV marketplace and generating new business throughout its respective territories. With their main office located in Austin, TX, ProVideo Solutions is operated by company president Eric Cook. Cook and his associates will be responsible for sales throughout Texas, Oklahoma, Arkansas, and Louisiana. The company is recognized for its marketing and integrated support services. ProVideo Solutions provides business-to-business audio and visual communication, broadcasting, and security solutions. With offices in St. Louis, MO and Olathe, KS, Rancilio Associates is headed by company principal Dan Rancilio. Rancilio Associates is responsible for coordinating Eiki’s sales efforts throughout Nebraska, Kansas, Missouri, and Iowa. The company is known for providing customer service, technical support, and field sales expertise. Serving the upper Midwest since 1974, Central Marketing is a manufacturers’ representative firm for pro AV presentation products, total room solutions, and digital signage technologies. Guided by company president Rick Williams, the company will spearhead Eiki’s sales initiatives throughout Illinois, Wisconsin, Ohio, Michigan, and Kentucky. Mooncom company president Mike Moonen and his associates are headquartered in Shakopee, MN. With more than 30 years in the industry, Mooncom represents products in the security, audio, and professional video markets. It works with end users, integrators, and consultants on a local level to promote, support, and add value to the products the company represents.